Do you have a first aid kit in the home—and would you know what to do in case you or someone you loved had an injury that required immediate treatment? If you’re like most people, you may not be as prepared as you’d like to be. The New Year is a great time to take stock of that—and make sure that if the worst happens, you’re ready. Here are a few things you can resolve to do in the New Year. 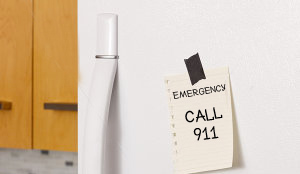 If you have children, be sure they know to call 911 immediately for any health emergency or if there’s a fire, and where to find the other emergency numbers quickly. If you keep just one of your first aid-related resolutions in the coming year, we hope it’s this one. 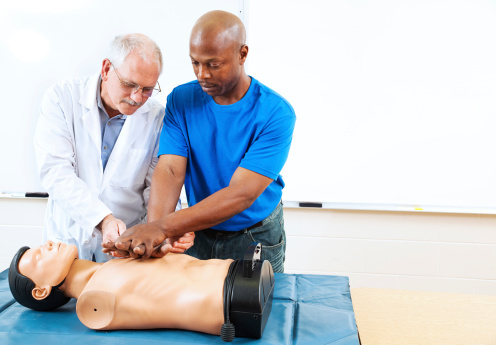 Everyone can learn to perform CPR, and training is fast and simple—all you need is a quick video lesson on hands-only CPR, which is easy to perform and remember. However, studies show that over 70% of Americans would feel uncomfortable and unprepared to act immediately in an emergency where CPR is needed. This is an underreported national tragedy, because about 88% of cardiac arrests occur at home—nowhere near a hospital. Approximately 383,000 people every year have sudden cardiac arrests in the United States, and many of them appear healthy and have no prior known heart problems. If you ever have cause to use your CPR skills, chances are high it will be to save someone you love. And effective bystander CPR does save lives. It can take emergency services precious minutes to arrive on the scene of a cardiac arrest, and the brain begins to die immediately when it is starved of oxygen. Only about 8% of people who fall victim to cardiac arrest outside of a hospital recover, but when victims get CPR immediately from a bystander, their chance of survival doubles or even triples. However, only about 32% of cardiac victims receives CPR from a bystander. It only takes minutes to watch a video offering training on hands-only CPR, which has been proven just as effective in saving cardiac arrest victims as traditional CPR. This is an easy resolution to keep, and it might just help you save a life. How safe is your house? Especially if you have small children or are taking care of an elderly relative, often the best way to keep everyone safe is to remove many of the hazards around the home that you take for granted. If you have young kids in the home, there are a few steps you can take to make your home safer and more secure—reducing the need for first aid in the first place. Set your hot water heater to 120 degrees—so it doesn’t burn toddlers’ sensitive skin. 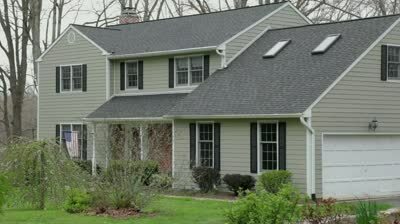 Install window guards or stops to keep children from opening upstairs windows. Put cribs and children’s beds away from blind or curtain cords. Install baby gates at both the top and bottom of all stairs. Pad the edges of tables or counters in homes with young toddlers. Keep all medications and poisonous cleaning materials out of reach or locked away. Get rid of clutter, phone and electrical cords, bumpy carpet, or any other trip hazards.Arrange furniture to make wide and accessible walkways. Install non-slip strips on slippery wooden or tile floors. Install handrails in the bathroom, near the toilet and in the tub. Install night lights along dark hallways. Make sure lights are easily accessible by the doorway in every room. Be sure kitchen implements are easily accessible within arm’s reach. The New Year is a great time to set goals that will increase your preparedness to respond to an injury or illness—of yourself or a loved one. 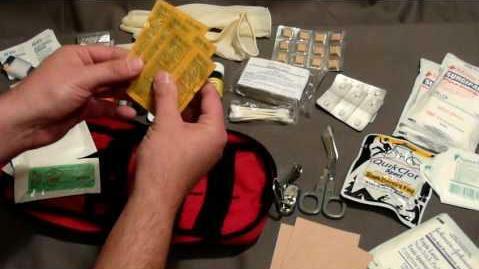 Put together a first aid kit for the home, as well as mini first aid kits for travel or the car. Take a course in CPR or first aid, and make a few easy, low-cost improvements around the home. If you do, you improve your ability to keep the whole family safe.